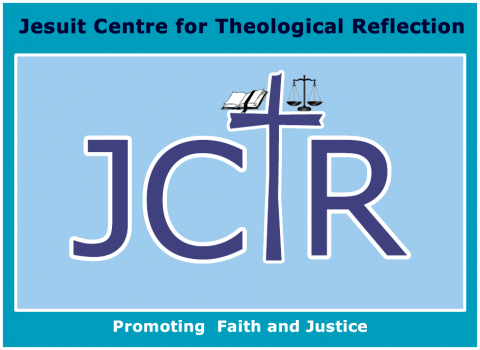 JESUIT Centre for Theological Reflection (JCTR) has urged government to abandon its attempt to facilitate for the Zambians to get jobs in Kuwait, Abu Dhabi and United Arab Emirates due to the poor human rights situation in that part of the world. In statement JCTR, Social and Economic Development officer Paul Chileshe said there were reports of human rights violations in the Middle East countries where the Zambian government was eager to ship its citizens for domestic workers jobs. “Applying a well-known adage which states that prevention is better than cure, it will be prudent on the part of the Government to abandon this project of sending its citizens to the Gulf region. Instead, the Government must find job opportunities for its citizens only in countries that have progressive labour laws and practices and that have a track record of promoting decent work and workers’ rights. There are credible reports that migrant workers working as maids, drivers, waiters and waitresses in the Gulf region are subjected to various forms of abuses, including unpaid wages, confinement to houses, abnormal working hours, physical or sexual assault by employers with some women being raped in some cases. The Human Rights Watch, Amnesty International and the BBC have separately reported abuse of migrant workers in the Gulf region doing the types of jobs that have been advertised in the Zambian media,” he said. He pointed out that government had an obligation to create employment opportunities in Zambia and ensure that citizens were protected even as they were employed. “Government has two cardinal obligations. Firstly, the Government has an obligation to create job opportunities for its citizens and to provide them a means of earning income and an honest living through employment. The importance of employment cannot be overemphasized, because it is through work that people realize their potential and attain a meaningful human existence. According to the Catholic Social Teaching, “work is more than a way to make a living; it is a form of continuing participation in God’s creation. If the dignity of work is to be protected, then the basic rights of workers must be respected – the right to productive work, to decent and fair wages, to the organization and joining of unions, to private property, and to economic initiative.” he stated. “Government has an obligation to ensure that its citizens working locally and abroad work in an environment that protects human rights and promotes human dignity. It is the Government’s responsibility to protect its citizens from ending up in jobs that subject them to some subhuman conditions and abuse. The Finance Minister, Hon Mwanakatwe argues that these workers going to work in the Gulf region under the government program are ensured of security as government departments such as the Immigration and the Ministry of Foreign Affairs would be monitoring them in their country of posting. We all know that this is easily said than done,” he added. Chileshe said worker migration did not fully address high unemployment in Zambia and that government had a primary responsibility to create decent jobs for its citizens. “The Government must deliberately prioritize and adequately allocate resources to skills development in order to create a pool of skilled and qualified Zambians,” he stated.